Art is unique, yet universal. It is something that has given us insight into emotions as well as events around the world. However, what happens when we go back to the very beginning or art? Some of the oldest examples of cave art date back 65,000 years! Since the artwork is displayed in caves that are tricky to reach, scientists wonder the true meaning behind the pictures. They are not in areas where the people dwelled. 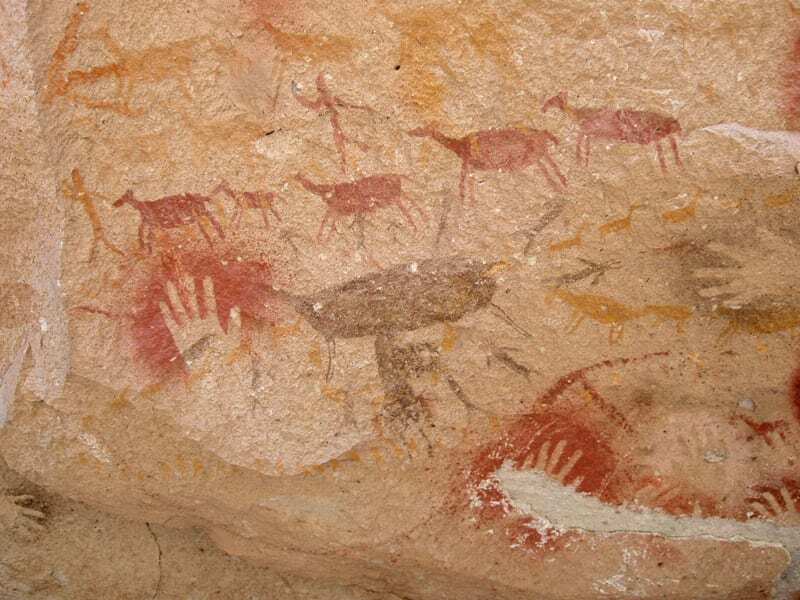 Some opinions are that the cave art was a “prehistoric chat board” or was used for religious and spiritual purposes. What is interesting is that cave art from all over the world has some similarities. These paintings are of animals and also of hands. There is a famous cave known as Cueva de las Manos which means ‘Cave of the Hands’ in Spanish. 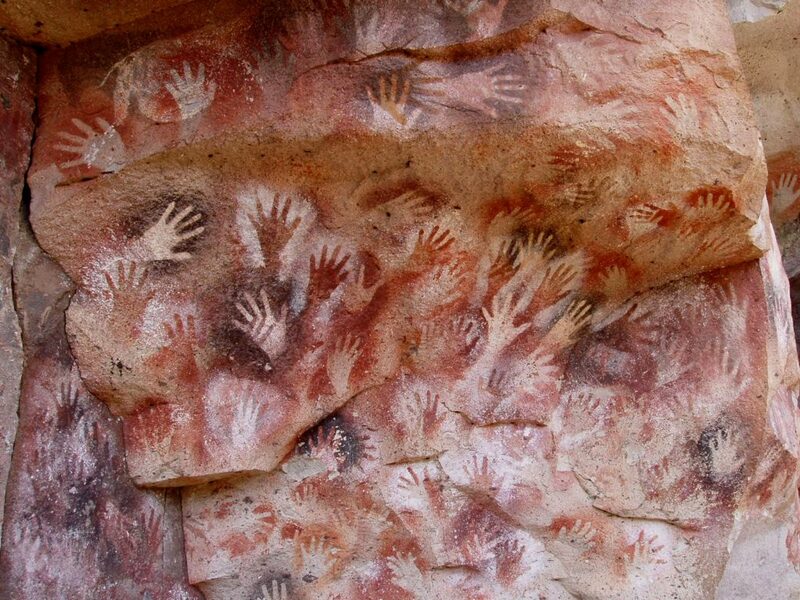 There are hundreds of human hands adorning the cave walls. The art in the cave has been carbon dated to 7300 B.C. How did scientists discover this? Archaeologists ran tests on instruments they found that the painters would have used, such as pipes. It is believed that the artists would have put paint inside these bone instruments and then would blow the color over their outstretched hand onto the wall. All of the hands appear to be left-handed. Did they use their right hands to hold the instrument as they blewto create a hand out of negative space or did they merely reverse their hand when doing the art? Scientists may never know. A hunting instrument used during this era was called the bola. This tool may have also be used to produce art. There is evidence of some red dotted marks on the ceiling of the caves which would have been created using the bold. 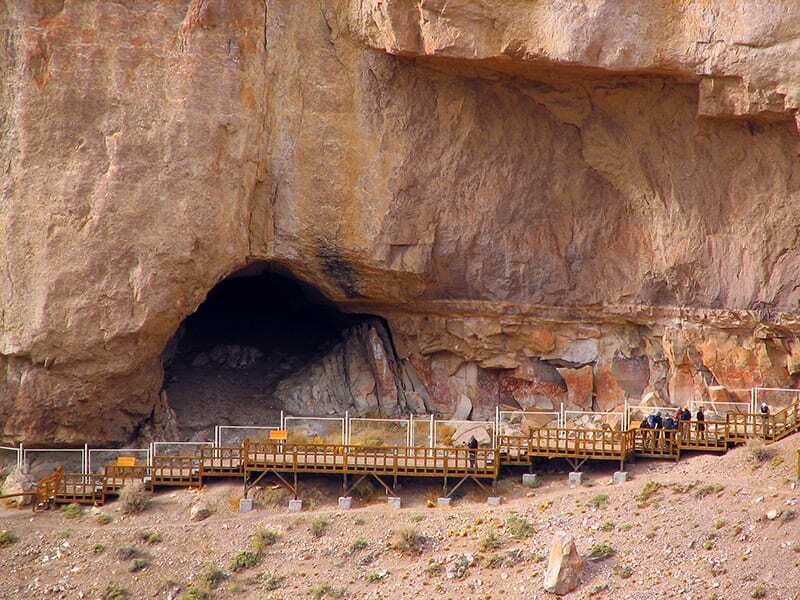 However, there is evidence that suggests people still lived in the cave system up until 700 A.D. Archeologists will continue to excavate the cave sites as scientists and other experts attempt to understand its meaning.